EASY to use for Tradies! 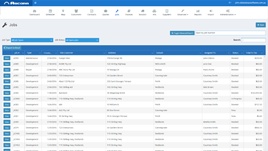 See the details and track all history with your customers. Easily see a full list of all jobs you've been scheduled against for today, tomorrow, this week or next. See all Job details entered by the Office along with any associated documents or manuals. Receive notifications from the office via push notifications or SMS on updated Jobs. 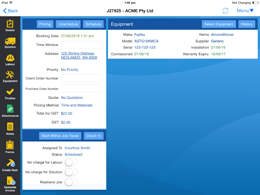 Allocate parts from your current price list or create special write-ins as needed. 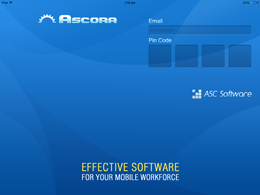 Check in and out of jobs and Ascora will track the actual time used. 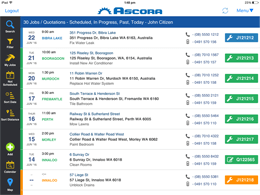 Track the Equipment or Asset being serviced and see a full service history of every visit. Take photos from your tablet and upload them straight against the Job or Quote. Create a follow-on Quote from a Job or a brand new Quote quickly and easily. With only one tap turn your Job into an Invoice while out in the field. Complete the job then get paid for it while on site. 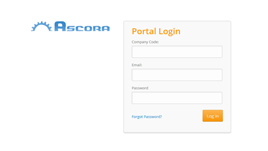 Ascora Admin Portal is cloud hosted and available from anywhere. 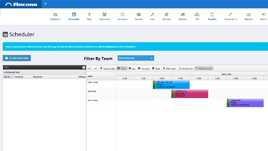 Let managers, bookkeepers and any other admin staff access it from wherever they need to. 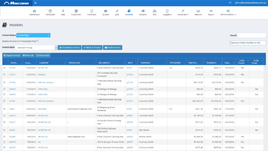 Manage Customers, Jobs, Quotes, Assets, Inventory and your entire workforce right from your PC or Mac! 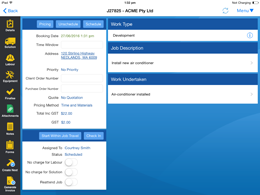 Drag out unscheduled Jobs or click to assign a job to your mobile workforce. Simple and Easy! 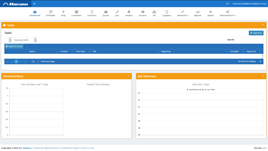 Allow your Customers to log on and enter new Jobs directly via the Web. You'll receive an email notification if requested. Record any tasks that need to be completed outside of Jobs. Tasks can be linked to Customers, Quotes, Jobs or just a general To-do list. Store documents against Jobs and tradesman will have access to them out on the road. Also view any photos taken from the field. See Jobs update as they are completed by tradesman. Send out alerts via SMS or Push Notifications to keep the workforce informed. Do you work with Accounts, Work Requests and Estimates rather than Customers, Jobs and Quotes? No problem! 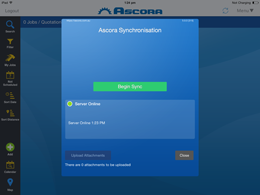 You can customise all key names in Ascora. 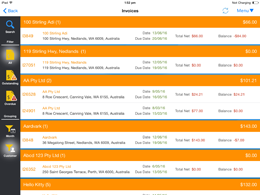 Send Invoices straight from Ascora to your accounting package. No need for double entry! 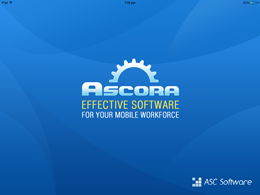 Have a feature you need for your business or would like to see in Ascora? Just let us know and we'd be happy to help!